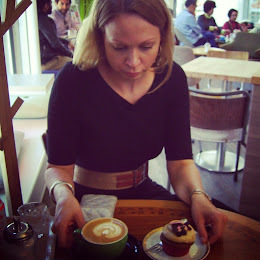 On the first Sunday of February I took part to a coffee tour in Helsinki organized by Hanna-Maria Huhtonen from Mustana blog. 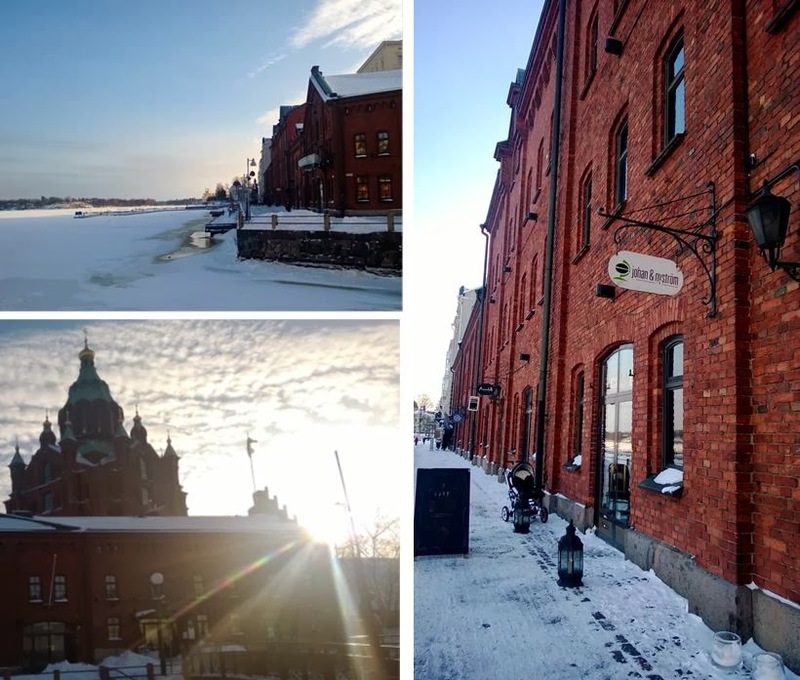 The program of the tour was packed with the trendiest coffee shops in Helsinki and a visit to a coffee roastery. The tour started with morning coffee at Johan&Nyström's coffee shop by the sea in Katajanokka. I was there a little early and had time to enjoy a morning cappuccino and read some magazines before the tour started. Other coffee shops on the tour were Fratello's siphon coffee bar in central Helsinki, Good Life Coffee in Kallio and Freese Coffee Co in Töölö. Most of the people on the tour moved from one place to the other by bicycle - even the snowy roads did not bother thirsty coffee fans. Coffee made with the siphon was on the menu at Fratello Torrefazione. The video on Fratellos’s website shows what happens in siphon coffee making - it is like a visit to chemistry lab. 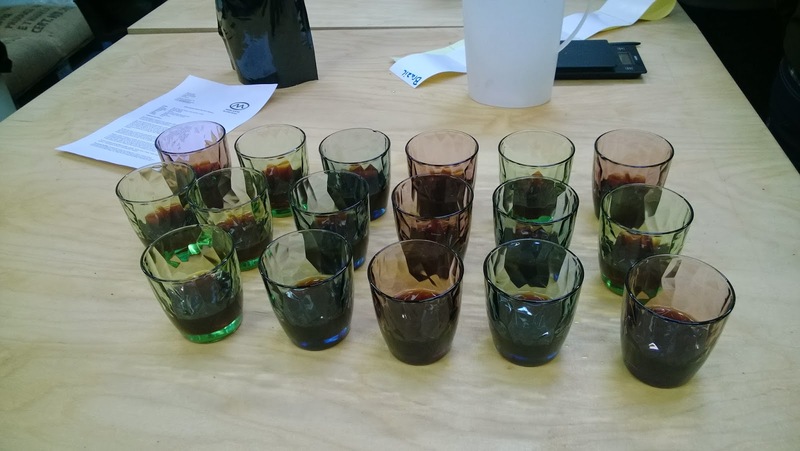 The tour also included a visit to Kaffa Roastery's roastery at a temporary location in Teurastamo area at Helsingin kahvipaahtimo's facilities. At the roastery coffee roaster Michael Akins introduced how the system of coffee roasting works and what happens to the beans in roasting. He also gave a demonstration by roasting one batch of beans. At the roastery we also tasted a new roast of Bolivian beans and got some samples to take home. The party really got started at Freese's where we tasted three different coffees prepared by Finnish barista champion Kalle Freese in frespresso style (filter coffee made on the espresso machine). After all the coffee drinking people had a cheerful feel and caffeine levels hitting the roof. 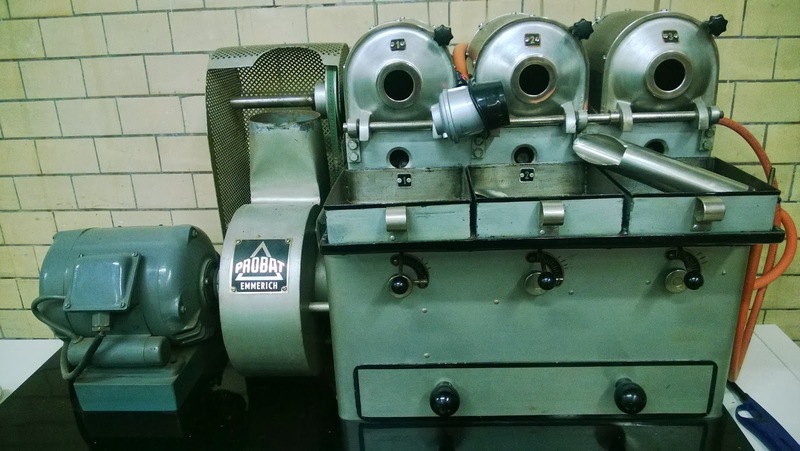 The tour gathered around twenty coffee enthusiasts to learn about coffee roasting and brewing, spend time together, talk about coffee, and of course drink a lot of coffee. This was a first time for a coffee tour like this but hopefully more is to come. The participants seemed to be locals but I think tourists visiting Helsinki would enjoy this kind of program as well. The café culture definitely belongs to the top reasons to visit Helsinki. Hi, I was glad to find you in Instagram and discover your blog! 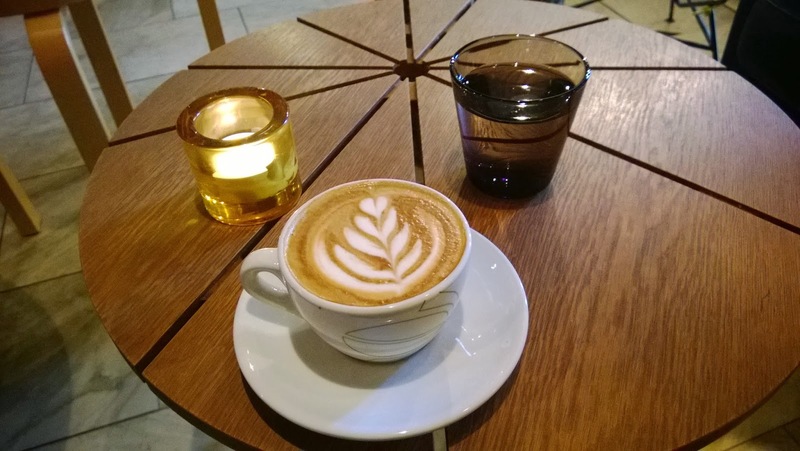 I'm a coffee enthusiast myself, and moving back to Finland soon: it was a relief to find your posts as now I don't need to be that worried about the coffee culture in Finland anymore as it seems that there's plenty to discover also! Yay, getting excited. My blog is Sateenmuruja and I have some coffee posts also! Hi, thanks for your comment - I am happy you found your way here! Welcome back to Finland! No worries - coffee culture in Helsinki and in Finland is very nice nowadays - new cafes have opened and many small interesting roasteries as well. I am happy to help if you need tips for more coffee :) I will definitely check your blog as well!